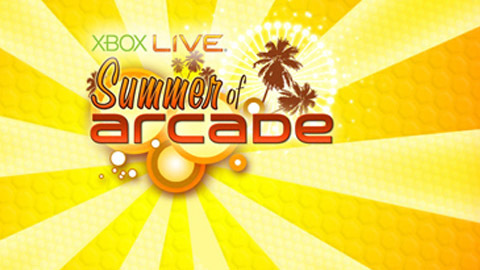 With the Xbox Live arcade marketplace relatively quiet so far this summer, Microsoft has begun to heat things up with the announcement of the 2011 Summer of Arcade titles. 5 titles will be hitting the marketplace this summer - all of which look to be promising. Below is the lineup for the Summer of Arcade, along with details of each title. For those of you who purchase all 5 titles, Microsoft will reward you with a 6th title for free - Crimson Alliance. Lookinmg how soon last summer of arcade batch of titles was discounted I will pass till DOTW this time. BTW, what puzzles me is how TRECHED came out that soon and despite being a AAA XBLA it was region specific since it didn't show on euro marketplaces like spain's etc. yet. Lookinmg how soon last summer of arcade batch of titles was discounted I will pass till DOTW this time. As expected everything at 1200 pricetag but the 200 maybe 400 worth kinect game that will cost just 800... Thanks for sharing! BTW, what puzzles me is how TRECHED came out that soon and despite being a AAA XBLA it was region specific since it didn't show on euro marketplaces like spain's etc. yet. Trenched will be coming to all of us europeans but they need to sort out the licensing issues with the game first, they didn't expect the game to have that problem for some reason. As for the summer of arcade the game list is kind of shoddy in my opinion but i will be picking up Fruit Ninja as the game was amazing on my WP7. Looking forward to seeing what enhancements they have made. Trenched will be coming to all of us europeans but they need to sort out the licensing issues with the game first, they didn't expect the game to have that problem for some reason. As for the summer of arcade the game list is kind of shoddy in my opinion but i will be picking up Fruit Ninja as the game was amazing on my WP7. Looking forward to seeing what enhancements they have made.